The wait is finally over! Beyonce's Netflix documentary titled 'Homecoming: A Film By Beyonce' is finally streaming on the OTT platform and fans have been going crazy over it. Written, directed and produced by the singer, the documentary was shot over eight months. It is a part documentary with a close behind-the-scenes look at two of the most iconic performances of the singer. It chronicles Beyonce's most famed weekend performances that made their mark in the history as she became the first black woman to headline the Coachella Valley Music and Arts Festival. While the Netflix documentary was dropped early on Wednesday, fans of the singer have been all over the social media, talking about it. NAACP Image Awards 2019 Full Winners List: Black Panther Wins Big, Beyonce Bags 'Entertainer of the Year'. Many are naming Beyonce's documentary an important contribution to the Black culture. Her husband Jay-Z also makes an appearance in the documentary. 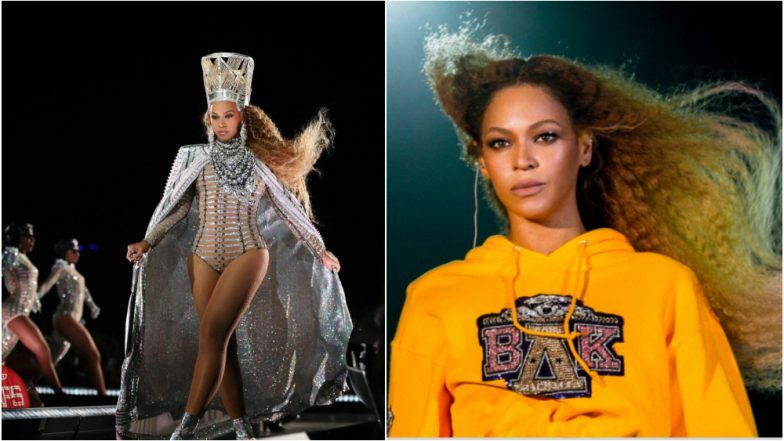 The documentary features Beyonce's unforgettable Coachella 2018 performance which was a tribute to HBCUs and black Greek life in front of a predominantly white audience. Twitterati has been hailing the performer's work ethic and what makes her a legend. Here's looking at some of the Twitter reactions for the documentary. Beyonce Teams Up with Adidas for a Creative Partnership, Will Soon Launch a Signature Line. This doc further proves why Bey is the absolute best. She deserves to be loved and celebrated this much. She works and works and she earned everything she's ever gotten. Ever since we were kids, we knew she was the one. The documentary is 2 hours and going by these Twitter reactions if you are a fan of the Crazy In Love singer, they could turn out to be the best two hours of your life. The documentary is now streaming on Netflix India.